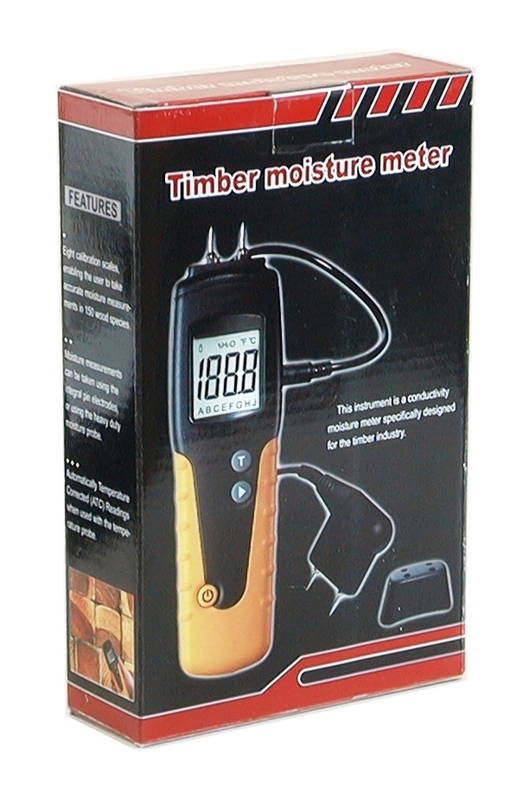 DT-129 Industrial Wide Range Digital Wood Timber Moisture Temperature Meter NEW!! 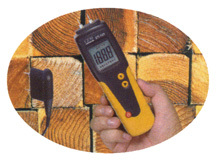 This is a brand new CEM DT-129 industrial grade wide range digital wood moisture meter. 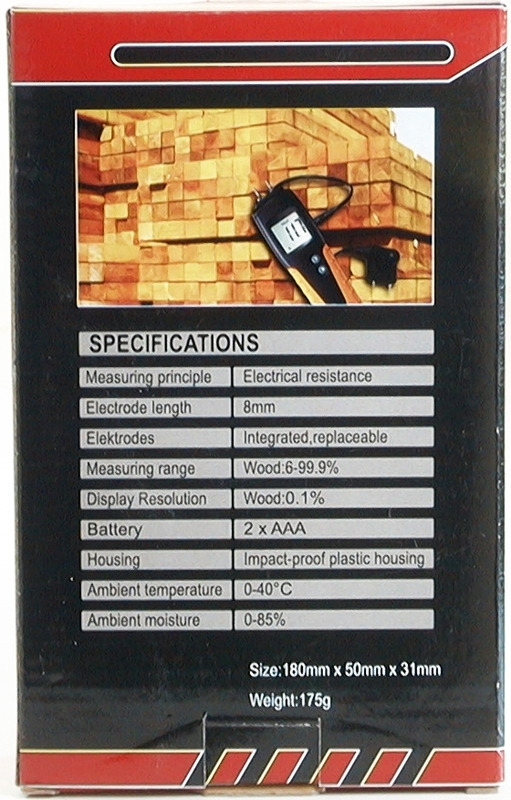 DT-129 is a conductivity moisture instrument designed for use in wood. This meter has a measurement range of 6 - 99%. 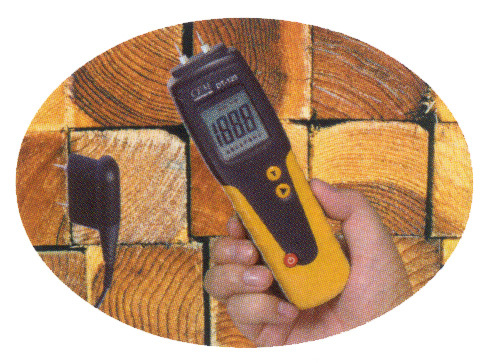 It is ideal for the lumber yard, furniture factory and your wood project where the wood moisture monitoring is important. 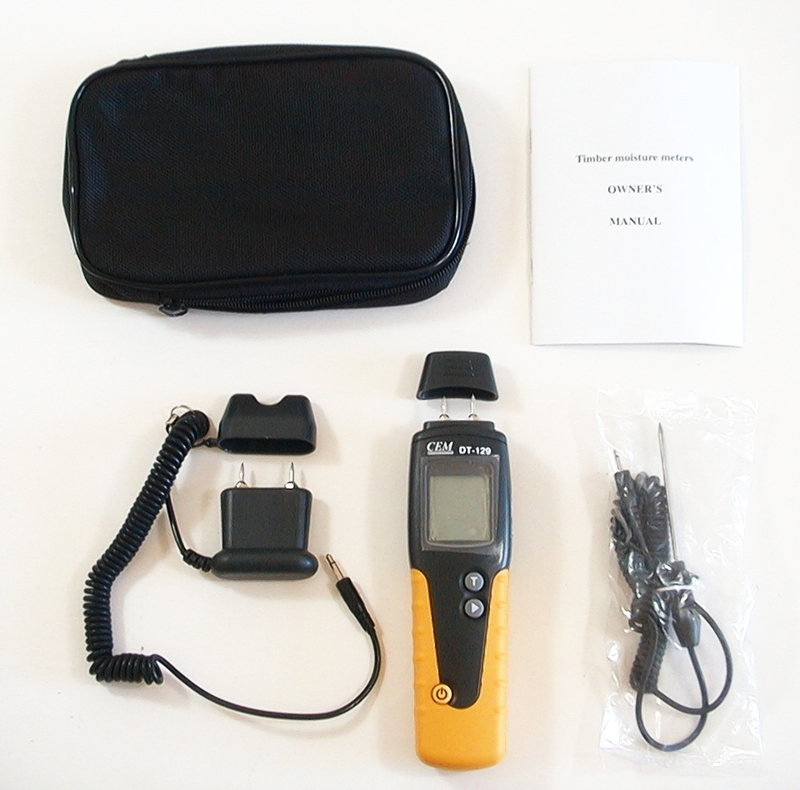 This device is compact and very portable. 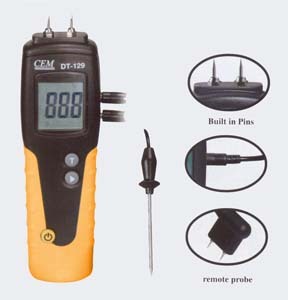 It comes with a remote probe and a temperature probe. 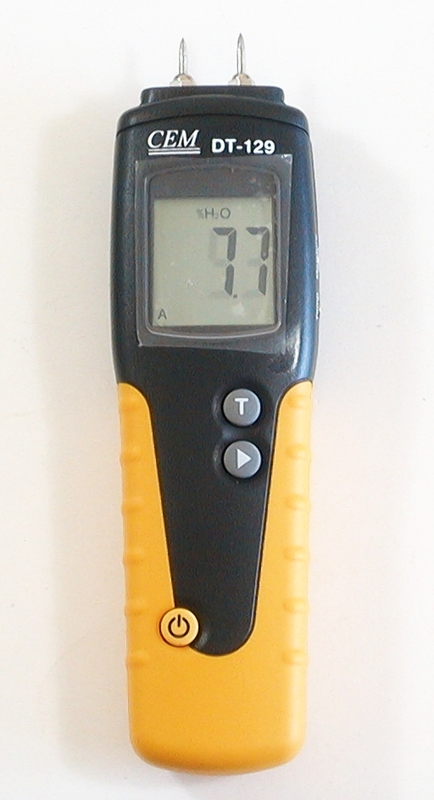 A heavy duty carrying pouch is also included for the protection of the device and your convenience.